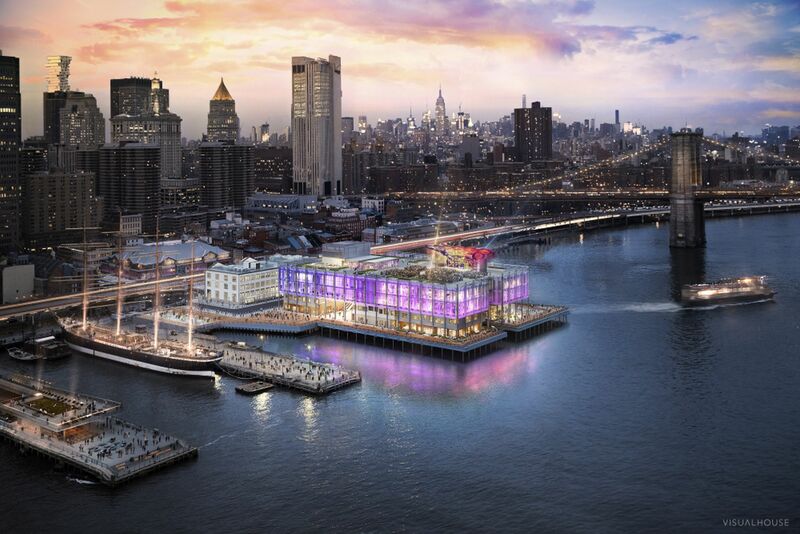 The Luxury Travel Agency is excited to announce our newest Partner Hotel in New York… Mr. C Seaport! Mr. C Hotels is a collection of contemporary classic hotels with a boutique touch that offer guests a rather unmatchable experience, differing from many other luxury hotels you may know of, and unique again, is the new Mr. C Seaport Hotel, located in the Seaport District of New York City, has a fantastic location which features views of the Brooklyn Bridge, skyline and East River. This hotel has a large focus on expressing the city’s culture, dining and entertainment atmosphere and aura. The hotel includes two fantastic dining restaurants, but of course, where Mr. C goes, impeccable taste always follows, with fantastic presentation and Italian ingredients are those created through the influence of Maggio and Ignazio Cipriani’s travels throughout Italy itself. This newly opened hotel is far from simplistic, with its spacious 66 rooms complete with marble bathrooms and Italian linens, and its 6 premium suites with lustrous teak veneer, rain showers, 4k televisions, and impressive panoramic balcony terraces, guests will feel as though they are living like royalty, and of course treated as royalty around the clock. The property has undergone a complete reconstruction from the buildings previous use, but maintains its iconic red-brick exterior, as to maintain its historical value in the Seaport district of New York, and The Howard Hughes Corporation. We, The Luxury Travel Agency, are very excited to introduce this new Partner Hotel to our clients wishing to enjoy a stay in the great city of New York! Our clients who book Mr. C Seaport will receive a Room Upgrade, (subject to availability), Complimentary Daily Breakfast via In-Room Dining or the Restaurant, a USD 75.00 Food and Beverage Credit, Early Check-In/Late Check-Out, (when available) for those long jet-setters; free High-Speed Wi-Fi, a Welcome Amenity and VIP Service. At The Luxury Travel Agency we like to go the extra mile for our travelers, and include personalized welcome amenities in-room, based on the guests unique preferences. If you’re looking to plan your luxury travel experience, do it with us, and we will show you why! Give us a call or WhatsApp message at +1-647-551-4560 or email us at reservations@theluxurytravelagency.com.